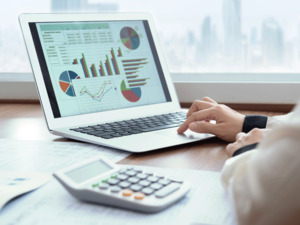 Business News›Wealth›Invest›Judging mutual fund performance: Should you look at trailing returns or rolling returns? While trailing returns gives investors a distorted picture of fund performance, rolling returns, on the other hand, measures the fund's performance across all timescales. The rolling return helps investor gauge performance across blocks of time, capturing market behaviour over multiple periods. You could be relying on trailing returns to gauge fund performance, but experts say rolling returns give a more accurate picture. ET Wealth tells you why rolling returns win when it comes to fund selection. As market witnesses ups and downs, final trailing return can vary widely from one point to another. Trailing return has a recency bias. It is based on a single point-to-point reading of fund performance. The market trajectory and fund's performance-near the end of the period has undue influence on entire trailing return. A sharp uptick in recent performance will make returns across all trailing periods look healthy. Similarly, a dip in recent performance will make all returns appear weak. Investor gets a distorted picture of fund performance. A fund's return profile may appear artificially superior or inferior. Even if market behaves erratically, rolling return for each date is not as disparate. Rolling return measures the fund's performance across all timescales, without bias. It does so by averaging returns over multiple instances of point-to-point returns for the desired period. Rolling return measures not just one block of 3 or 5 or 10-year return but considers several such blocks of 3 or 5 or 10- year periods at various intervals. Fund performance is not influenced by specific points of time. It helps investor gauge performance across blocks of time, capturing market behaviour over multiple periods. The average of monthly returns will yield the final figure. One fund appears to have done better than the other on one date, but inferior on another. Variations are smoothened put to show how one fund has delivered better returns over similar time frames. Rolling returns comparison shows that one fund has been more consistent than others in generating higher return. Rolling return will give an idea about how much return investors have typically made over a period of time. Axis Bluechip has beaten the benchmark a number of times based on rolling 3-yr returns between Mar 2014-2019. One fund has performed better of late compared to historical return, other is lagging behind its past performance. Is 'rolling return' the best way to measure performance of mutual funds?